Have You Been Injured by an Uber Driver? Uber, the popular online application that allows for people to hire drivers within their area, has taken off in recent years, to the chagrin of taxi and limo companies. Uber is less expensive and, according to its user base, more convenient. But unlike taxi and limo services, Uber drivers do not have to go through background checks, vehicle inspections, or driver safety screenings of any kind. This means that there are potentially hundreds of ill-prepared, unsafe Uber drivers throughout the West Palm Beach metropolitan area, causing crashes and injuring pedestrians, other motorists, and even their own paying passengers. In fact, just recently an off-duty Uber driver critically wounded a police officer when he collided mid-intersection with the police car, according to CBS Miami. The Uber driver, who was mostly uninjured compared to the officer, had a prior careless driving conviction on his record. But what happens if you are injured in a car crash that was caused by your Uber driver? Florida’s current bodily injury insurance requirements for driving are non-existent, though that may be about to change. 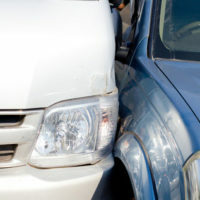 Currently, Florida drivers only need minimal personal injury protection plan and a small property damage liability plan, neither of which would apply to a victim that that driver injures. A 2017 law requires Uber and Lyft drivers to purchase bodily injury protection, according to News Channel 7 WJHG. CS/HB 221, of $50,000, and $100,000 per accident for death and bodily injury. Additionally, drivers must also have a minimum $25,000 policy for property damage. Background checks will also be performed by Uber and Lyft. This means that there is now at least a minimum financial compensation option for injured victims to pursue in the event of a crash caused by an Uber or Lyft driver. This minimum insurance policy can be sought if you were a pedestrian or cyclist, another motorist, or a passenger of the Uber or Lyft driver who caused the crash. An experienced West Palm Beach attorney, however, will pursue every available option when it comes to financial compensation. If the driver has a larger insurance plan than the minimum, we will go after that. In some cases, pursuing the negligent party’s personal property, including real property, is a viable and necessary option. Whether you were injured by an Uber or Lyft driver, or you are still unsure about who was at fault, do not hesitate to call an attorney for assistance. The West Palm Beach law offices of Celeste Law Firm can be reached at 561-478-2447 today.